Constant Hine, MA, is an early childhood consultant, trainer, and coach. 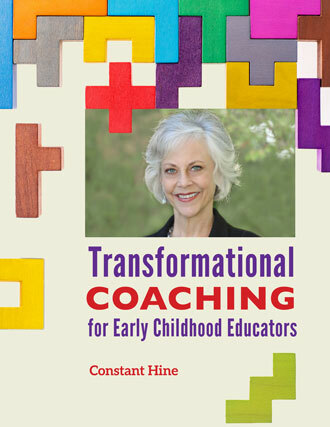 She specializes in providing dynamic transformation strategies for early childhood professionals. Constant supports teachers, leaders, coaches, and adult educators to create lasting change through authentic engagement, empowered learning, and intentional practices. She hosts the “Coaching Connections” radio show and presents on the topic of coaching to national audiences. Constant also offers online learning, video conference training, and webinars. Use this reflection-based guidebook to strengthen coaching skills and your ability to facilitate transformational learning in others.